We are known as one of the predominant China Clay Powder Manufacturers, Suppliers and exporters of located in India. The Highly Plastic Alumina Clay we offer finds varied usage across diverse industries. 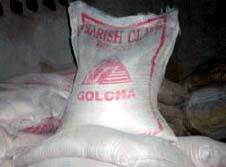 We make available the China Clay Powder at rock bottom prices within the scheduled duration.